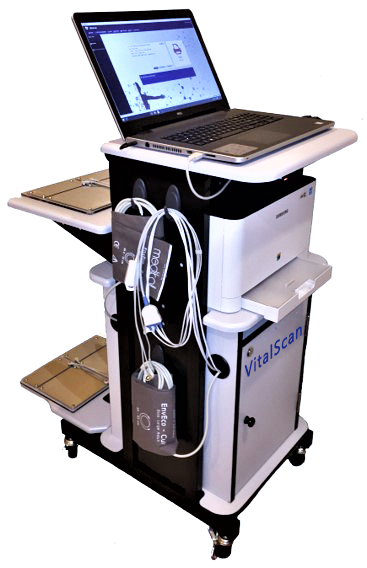 The Dantest system has been developed purely to monitor the stress, stress reserves and autonomic balance of individuals. The system and equipment has been "tried and tested" by qualified clinicians operating over the past 10 years. This HRV monitoring equipment indexes the autonomic nervous system (ANS) and more specifically the sympathetic/parasympathetic nervous system balance. The balance between these two systems is an indicator of the body's reaction to external and internal demands. In addition to the physiological Dantest indicator, we score stress/anxiety and depression by way of selected questionnaires. We also quantify lifestyle stress by a brief lifestyle inventory, so that the healthcare professional can assess and counsel on any factors likely to be making significant contributions to a person's stress, e.g. smoking, alcohol, caffeine, diet and nutritional state (including nutritional supplements taken), exercise and sleep. The scientific evidence for the impact of these lifestyle factors on stress is also contained in this dossier. Stress is an inescapable consequence of everyday living and everyday social interaction. At the clinic we aim to quantify stress levels and to identify individuals who are vulnerable to ill health due to compromise of stress reserves. The objective of Dantest is to promote better stress coping strategies for individuals, informing them how to gain control of their ANS and their body's stress response, and also building stress reserves through appropriate lifestyle changes.